I love fall! The color of some leaves is my favorite yellow hue, as you can tell from my drawings. 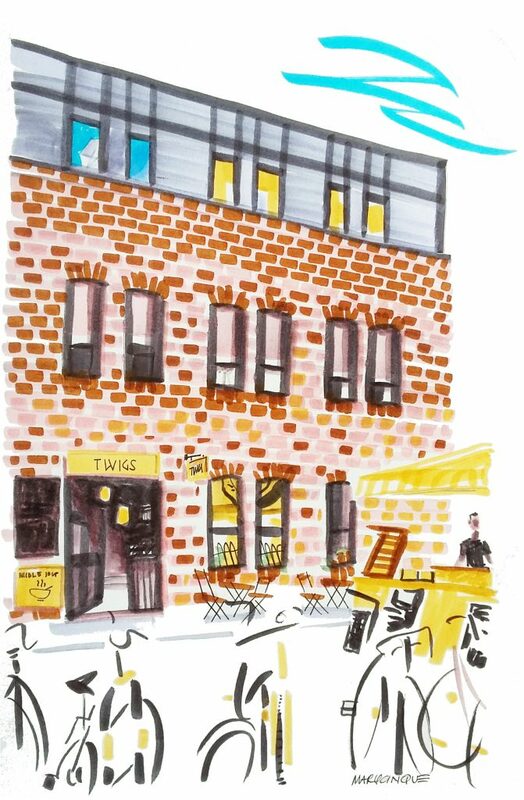 Last Saturday we went to Broadway Market, my fave market in London so far, and I just can’t stop drawing! 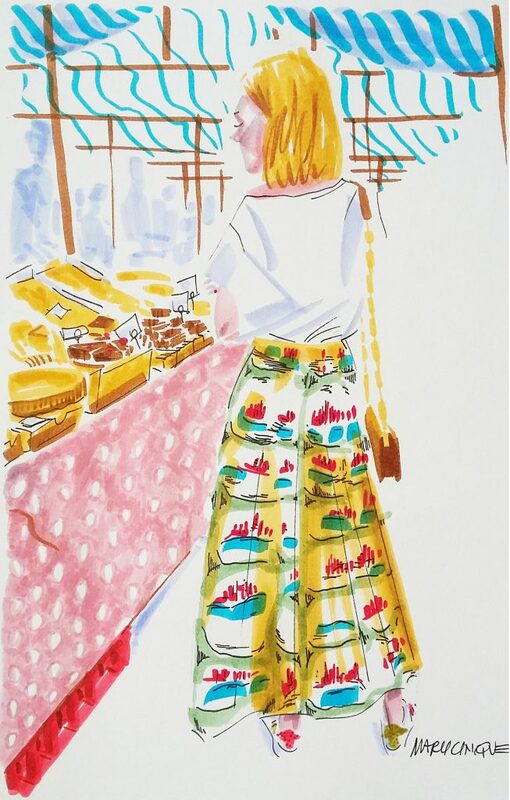 Artisan foods stall was amazing to look at, and when this girl with a very unsual skirt came I had my picture of the day! Although at one point I had to, ’cause I want to eat a delicious ciabatta with pork, roquette & the unmissable secret BBQ sauce at Roast Hog stall. I’ll never forget these locals, lying in the sun with eyes closed just listening to the music. There were many musicians on the street, mainly playing and singing Blues and a vinyl records stall playing its music as well, but all of them at safe distance one from another so that one could enjoy each one of them without going crazy. Actually, the atmosphere was very serene and calming, although energizing and inspiring. Ah! Coffee at Merito stall, of course!